It probably won’t be a Merry Christmas, though. Fortnite: Battle Royale’s season seven summary has just dropped. Game developer Epic Games has finally revealed what’s coming to the game after weeks of speculation, leaks, and teasers. Epic said season seven will bring the mysterious iceberg to the Fortnite island, and winter finally came to the game, bringing many map changes. New named locations called Frosty Flights, Polar Peak, and Happy Hamlet were added to the game’s new biome, Iceberg. They are probably southwest of the map, where people saw the iceberg coming first. Other unnamed points of interest surfaced around the map. All these map changes led to a minimap update as well. Fortnite got its first flying vehicle, the X-4 Stormwing Plane. It fits five people, including the pilot, and has a mounted machine gun. If you already had nightmares with the Mounted Turret, you’ll have to deal with a flying one this time. Several items were vaulted, too. Players will no longer see season six staples like the Double Barrel Shotgun, Chillers, and Shockwave Grenade. Fortnite season seven will be available for all players as soon as the server downtime is over and the update download starts. This generally happens in a few hours. 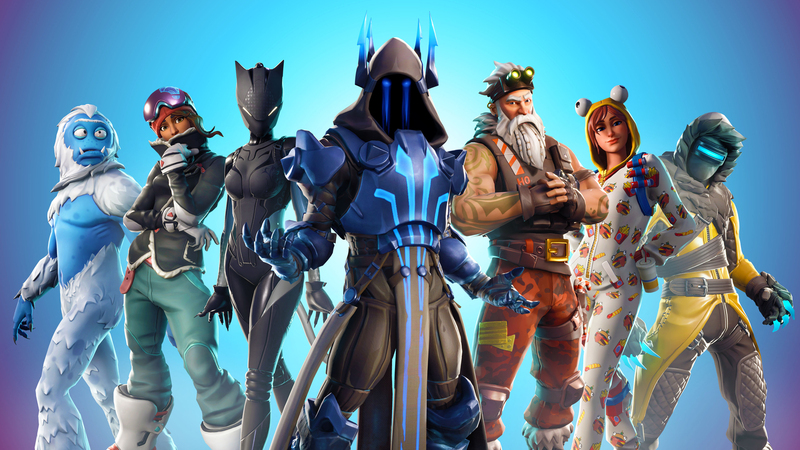 Leave your client open to start downloading season seven as soon as possible and get ready to jump into your first matches soon. Check out the full season seven patch notes at Epic’s website.